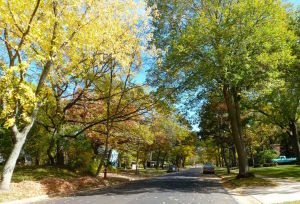 Listed below are homes for sale in Orchard Ridge, a neighborhood located in Southwest Madison, WI. Listings are updated multiple times a day from the SCWMLS. For more information about any of these Orchard Ridge homes for sale, just click the "Request More Information" button when viewing the details of a property. We can provide you with disclosures, past sales history, dates and prices of homes recently sold nearby in Madison, and more. Many people who move to Orchard Ridge never leave. They are drawn by its central location, close proximity to schools and churches, and character-rich homes. They stay because of its quiet streets and familiar neighbors. Many neighbors spearhead initiatives like its Residents’ Bill of Rights and its social contract to uphold the neighborhood’s high level of standards. Those efforts don’t merely improve Orchard Ridge — they improve other neighborhoods on Madison’s southwest side as well. Regular holiday parties, picnics, socials and visits from Santa round out an active calendar of events that enables neighbors to stay connected and engaged. And the Southwest Community Farmers Market provides a great way to sample local fare and to socialize. 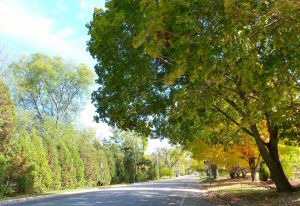 Orchard Ridge is offers many single-family homes on large, tree-covered lots. 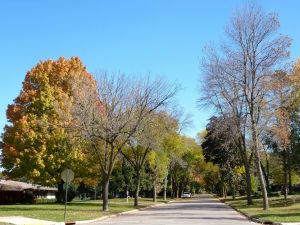 Madison’s rich architectural traditions are reflected throughout the neighborhood with designs inspired by the likes of Frank Lloyd Wright and Madison native John J. Flad, who has a street named after him in Orchard Ridge. Many of the homes were developed here in the late 1950s and early 1960s on more than 500 acres of rolling farmland and apple orchards. A nice selection of ranch-style homes makes the neighborhood an attractive option for young families and first-time homebuyers. Much of Orchard Ridge’s multi-family housing is located along the West Beltline Highway along its northern corridor. A few pockets of multi-family dwellings are also located along South Whitney Way and Hammersely Road. A commercial area lies in the city’s far eastern corner. Readily available schools and childcare make Orchard Ridge a great choice for young families. Children attend school at Orchard Ridge Elementary and Toki Middle School, both located along South Whitney Way within the neighborhood. Three childcare centers located throughout the neighborhood makes parents’ evening and morning schedules easier to manage without having to log extra miles. Just down the road from Orchard Ridge is the Meadowood Branch of the Madison Public Library System and the Meadowood Community Center. To the north, opposite the West Beltline Highway, is Odana Hills Golf Course. And four neighborhood parks and a private community pool lie within the neighborhood. For information about finding a home in the Orchard Ridge neighborhood or to sell your Orchard Ridge home, contact our team for a better real estate experience. Orchard Ridge neighborhood is located on the South West Side of Madison in MLS area Madison – W08. Below are more homes for sale in that area.